The Wildwoods are an award-winning mecca for youth sports events, proven by its recent, third consecutive Sports Destination Management Award in the category of Economic Impact in Sports Tourism. Written for sports event managers and organizers, ‘Sports Destination Management’ is a national print and digital online magazine which provides planning and location strategies essential to hosting successful events. This year’s Sports Destination Management Award focused on one of many youth sporting events unique to the Wildwoods – the Cape Express Beach Blast Sand Soccer Tournament – taking place every year on the Wildwoods beach since 2002. This two-day June event features over 9,500 participants and draws 11,500 spectators, prompting organizers to add another event – the MORE Beach Blast Soccer Tournament, which took place in July 2017, and drew additional 4,500 participants. According to organizers, the Beach Blast Sand Soccer Tournament transformed that last weekend in June to one of the most important revenue-producing periods of the entire summer season, selling out over 7,000 hotel rooms and filling up restaurants, retail shops and attractions with participants and guests who traveled to the island specifically for that tournament. This year’s list of winners of the Sports Destination Management Award are responsible for contributing more than $400 million to the national economy over the past year. 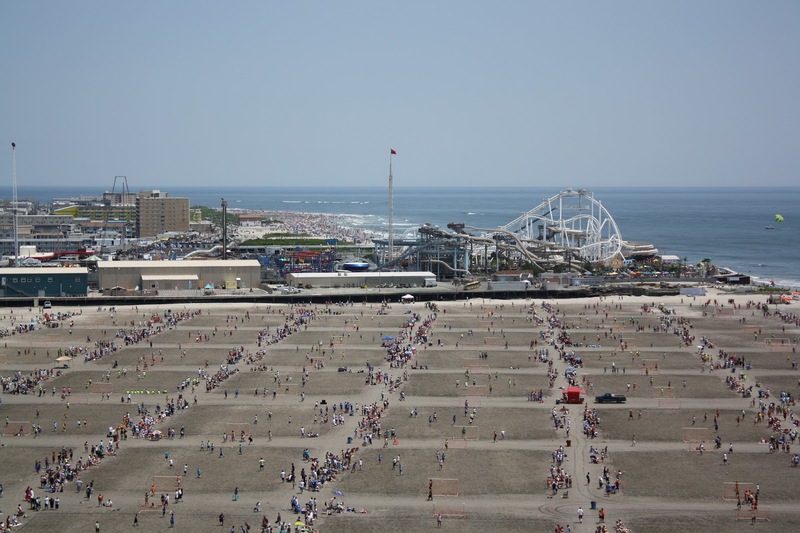 The Cape Express Beach Blast Sand Soccer Tournament generated a total of 7,093 hotel room bookings, and well over $5.1 million in total economic impact to the Wildwoods. For more information and a complete list of 2017 winners, please visit www.SportsDestinations.com. Youth sports competitions taking place year-round at the Wildwoods Convention Center and on the destination’s expansive beaches, grow in diversity and number year after year. 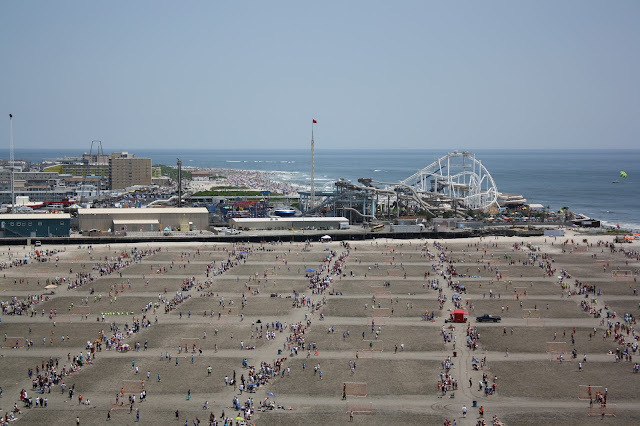 In 2002, six youth sports events took place in the Wildwoods with a total attendance of 16,411. That number has grown to 28 youth sports events in 2017 with a total attendance of 68,016. Since 2002, the Wildwoods have had over 2,079 group bookings for youth sports-related events with over 2.9 million attendees. 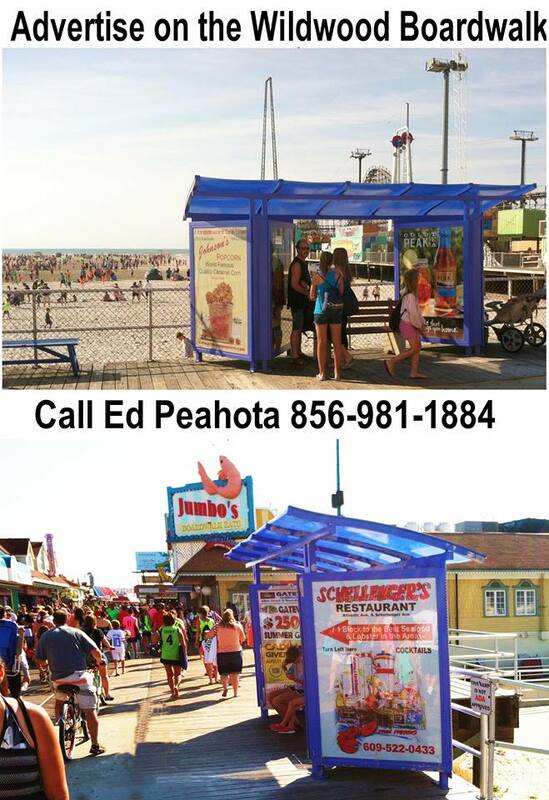 Their economic impact and ability to extend the season in the Wildwoods to a year-round destination has been significant. These events – from beach soccer and Frisbee tournaments; to cheerleading competitions and basketball tournaments; to beach marble tournaments and international kite festivals; to baseball on the beach and national wrestling championships – bring a significant amount of economic revenue to the five-mile island. In the last four years, the Wildwoods have experienced a consistent four percent increase in tourism revenues year-over-year and strong increases in hotel bookings, restaurant reservations, retail and significant amusement sales while hosting sporting events. 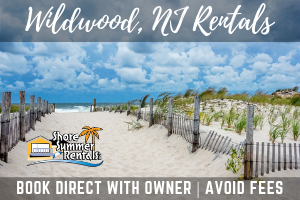 Often ranked among the best beaches in the country, the Wildwoods’ five miles of beautiful white sand beaches are also the largest beaches on the entire East Coast – making it the perfect setting for large sports events. Whether it’s surfing, boogie board or swimming competitions, beach soccer tournaments, field hockey & lacrosse tournaments, Ultimate Frisbee championships, baseball on the beach tournaments, volleyball, or track and field competitions, if you can imagine it, the Wildwoods can host it. Add to that bleacher seating for over 3,000 for spectators, and the Wildwoods’ enormous beaches are the perfect outdoor venue for any sporting event. The Wildwoods Convention Center is a modern, multipurpose facility equipped with exhibit, ballroom, meeting and pre-function space. 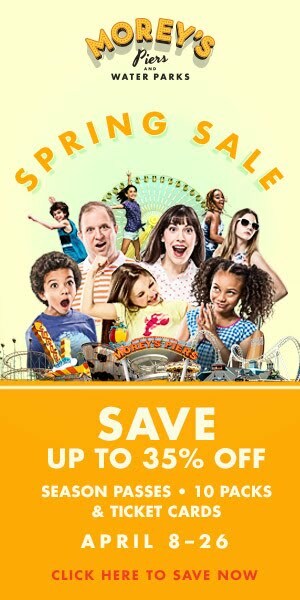 Located on the world-famous Wildwoods Boardwalk directly overlooking the beach and ocean, this unique, state-of-the-art, 260,000-square-foot facility offers one of the most spacious, flexible, innovative and inviting venues available for sporting events, conventions, trade shows, meetings, concerts and exhibits. Located within a day’s drive of one-third of America’s population, it can accommodate groups as small as 100 or as large as 10,000. And right outside the doors of the Convention Center is 38 blocks of Boardwalk excitement with retail shops, arcades, carnival games, over 300 eateries plus three amusement piers with over 100 rides and attractions and three beachfront Waterparks. The Wildwoods Convention Center accommodates events up to 5,000 competitors with ease. Add to that a large number of hotel/motel rooms available at attractive rates during the off-season, plenty of great family restaurants, a two-mile boardwalk with hundreds of eateries, rides and attractions, and more than 180 free island-wide events and festivals annually, and you have the perfect location for hosting and attending any youth sporting event, any time of year. The Wildwoods Convention Center’s flexible, mutli-use modern facility continues to draw impactful events to the region, and has advanced the Wildwoods as not only a great place to vacation, but as a great place to work, play and live.